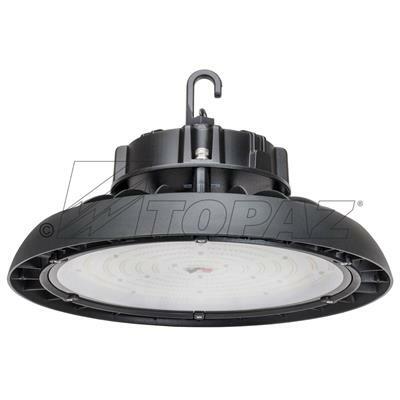 Topaz’s 90W High Bay Eclipse Series luminaire comes with a standard locking hook for easy and quick installation. 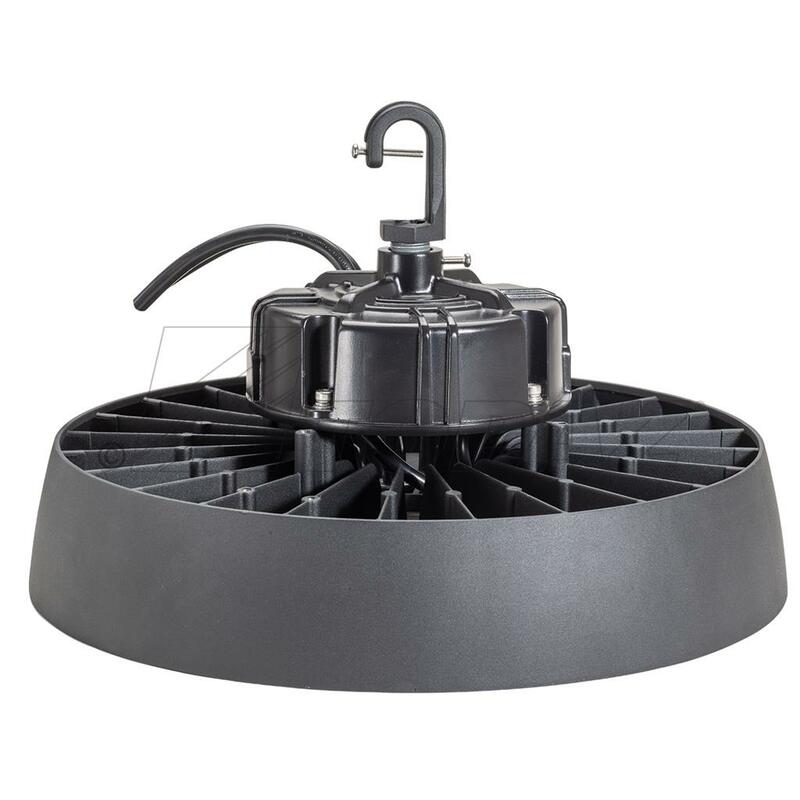 Suitable for 15' – 20' foot mounting heights, these fixtures deliver 13,500 lumens with an efficacy of 150 lumens per watt and a 50,000-hour life rating. 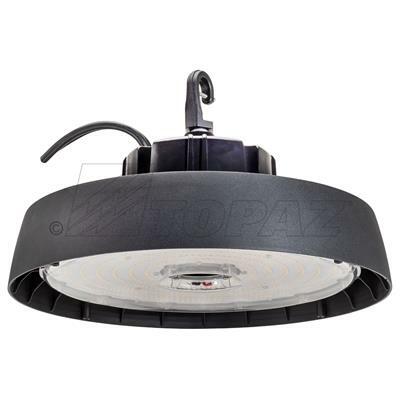 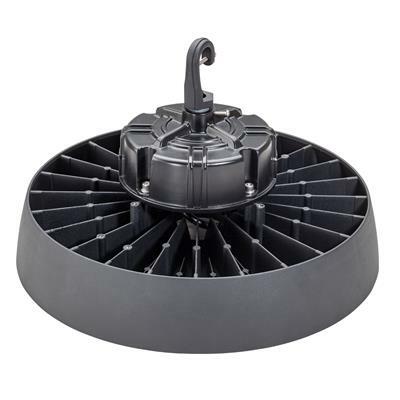 They feature a durable die-cast housing, built-in cooling fins that provide maximum heat dissipation for higher ambient temperatures, a ½’ threaded hub for pendant mounting, and a 6-foot power & dimming cord with leads. 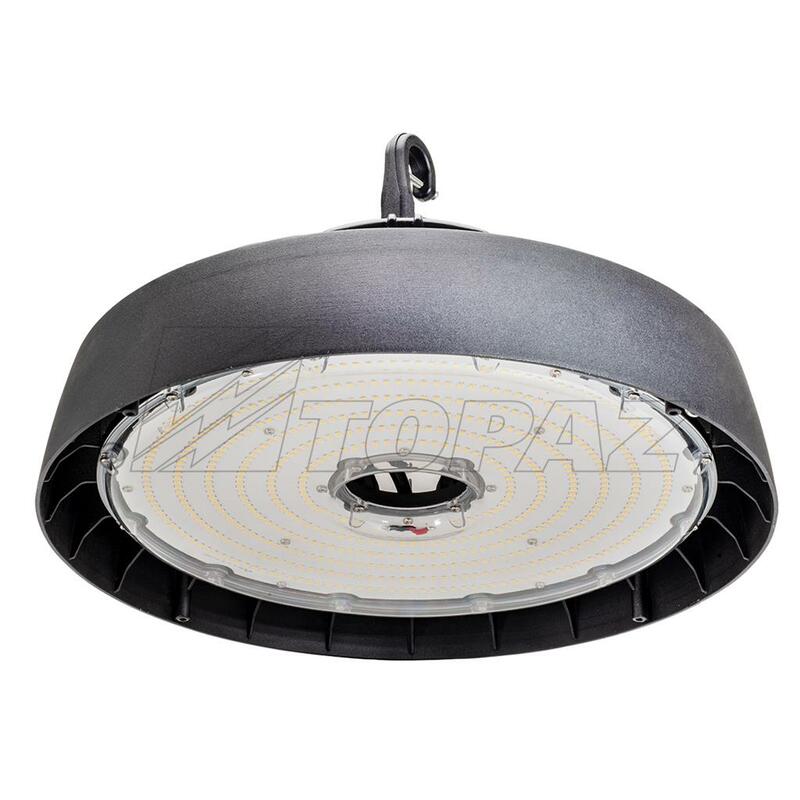 Perfect for industrial applications, warehouses, and sports arenas. Replacement for 175-250W HID.